It was a goodbye of sorts Saturday for Winx at Australia’s Rosehill. And to no surprise, she made it count. 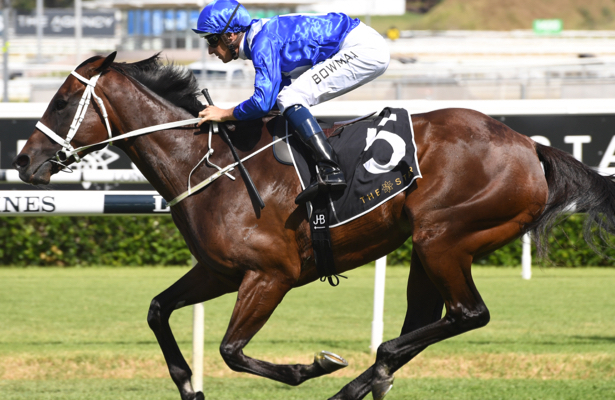 Running over the course on which the great mare has trained for much of her career, Winx romped to win her 32nd straight race — and fourth straight edition of the George Ryder (G1) — in what’s expected to be the 8-year-old mare’s penultimate rate. For trainer Chris Waller, and with jockey Hugh Bowman in the irons once again, Winx is expected to conclude her career April 13 in Randwick's Queen Elizabeth (G1) before becoming a broodmare. Winx faced seven rivals Saturday. They didn't stand a chance. She broke second to last in the 7 1/2-furlong test, ranged up four wide off the bend and cantered down the center of the track to an easy victory -- again. "There's not a lot more you can say," said Winx's co-owner, Peter Tighe. "She's just out of this world. She means the world to us. "...I'm glad that she does it not just for us, but for everybody. I can't thank everybody here enough. The crowd watching at home and around the world, it's an amazing thing. I don't know how I'll live after it." This marked Winx's third victory of the season after starting with wins over Group 1 winner Happy Clapper in both the Apollo (G2) and the Chipping Norton (G1) stakes. The George Ryder score may have been her easiest. "She did what she did best and put them all to the sword," Tighe said. "Yes, she was four-wide and covering a lot of ground," Waller added. "...But she's Winx. She can do that. That's the beauty of her. She overcomes everything." Winx went off at 1-9 on the American tote. The runner-up, Brutal, was 50-1 with third-place Dreamforce 70-1.